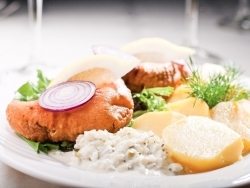 The restaurant offers the delicious dishes of the Nordic islands, inspired by Muhu and the surrounding islands’ traditions. 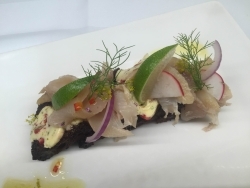 The foundation of JUUR Restaurant was inspired by nature-friendly mentality and Nordic cuisine ideas. 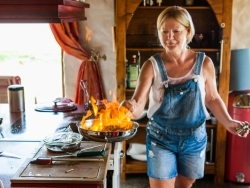 Everything necessary for cooking is local and domestic and all cooking and baking is done on living fire. 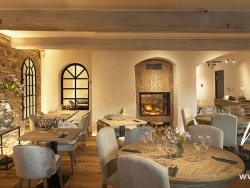 The restaurant gives off the atmosphere of a wealthy Estonian farm from the bourgeois period and serves Estonian ingredients prepared with modern cooking styles in mind. 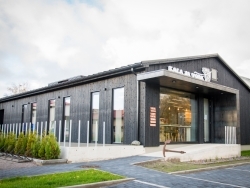 Restaurant MEKK features modern Estonian cuisine. 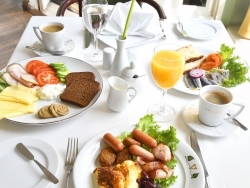 And if you’d be needing something more along with the beautiful view and tranquillity, you can find delicious food right at Ruhe. 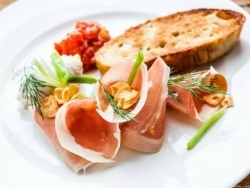 Restaurant offers something simple made with great passion. 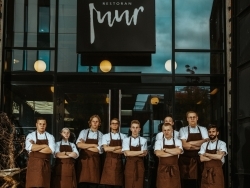 The restaurant’s distinctive menu combines Estonian tastes with classical European recipes, and its close cooperation with small-scale local producers guarantees that domestic ingredients are used in cooking. 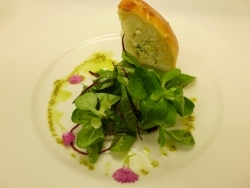 The menu features a fascinating and inspiring combination of local produce and flavours from around the world. 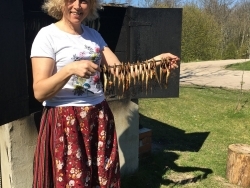 The dishes cooked in the kitchen are made from natural Estonian farm produce, local game, forest fauna and plenty of fish. 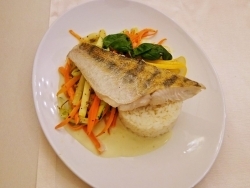 The daily menu includes fresh fish, the catch of the day that our cook has brought from the market or bought from local fishermen in the morning. 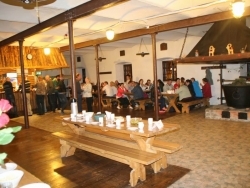 Ööbiku Gastronomy Farm offers unique dinners. Umami is the ‘fifth taste’ people discern; to put it shortly, it means the richness of taste, and this is exactly the best description one can give to our restaurant. 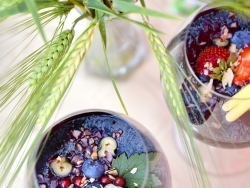 Our friendship as well as our love and respect for delicious food and good wine can be considered as indestructible as Estonian wild grass. 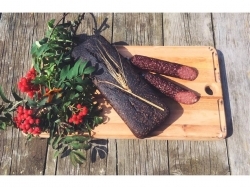 Estonian grass-fed dry-aged beef for cooking at home and serves it in the restaurant, accompanied with a nice selection of drinks and organic side dishes. 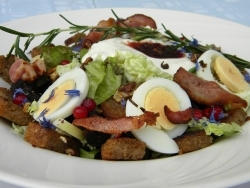 Café-Restaurant Hea Maa is a place that was born out of love for good food. 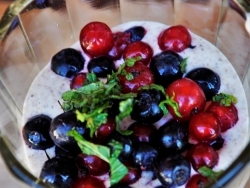 We want to prove that healthy food can be and must be tasty! 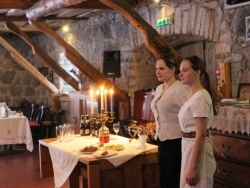 Modern Estonian cuisine is offered between the walls of the Purtse castle. 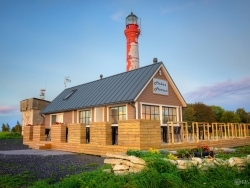 Restaurant MerMer was opened on Juminda peninsula for people who love good food. 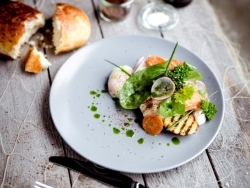 Restaurant serves the combination of flavours of Nordic kitchens and healthy food, prepared with as many local ingredients as possible. 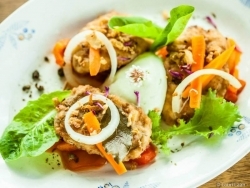 Restaurant Vidrik is a joint project of three chefs, who particularly value vegetables and game meat. We also prefer traditional ways of flavouring and cooking food, for example, roasting over an open fire and in natural smoke. 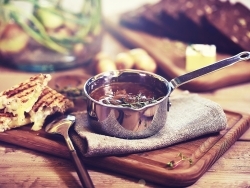 Ungruresto aims to offer everybody an awesome soul food experience – for them that means an combination of very good food, pleasant atmosphere and friendly service. 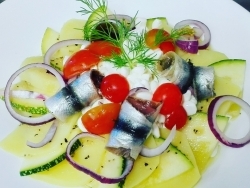 Saaremaa Veski is a restaurant featuring local flavors: fresh, simple and delicious foods made with Saaremaa-produced ingredients. 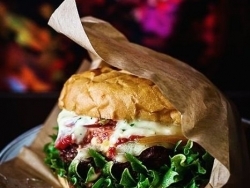 Offering traditional street food, Uulits values simple tastes and at the same time makes each burger a gourmet burger. 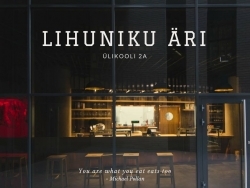 Uulits aims to transform Estonian street food tradition and culture. 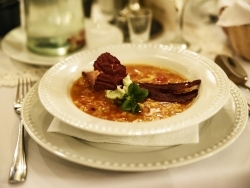 Vihula Manor takes pride in its history and that reflects on the Manor’s menu items, where you can mainly find local Estonian cuisine. 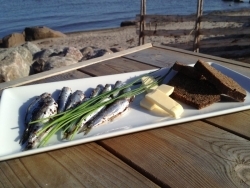 The aim of the grill house is to offer the local cuisine of Hiiumaa, using mainly local ingredients from everything grown and produced in Hiiumaa and Kassari. 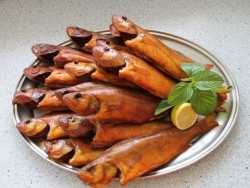 Local smoked fish, different snacks and soup from freshly caught fish is served here. This harbour with an enchanting view of the sea hosts a restaurant with an open kitchen, serving local fresh fish. 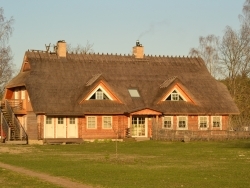 The café of the farm museum specializes in Estonian national food. 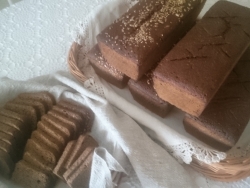 The local griddle cake, quark cake and potato and barley porridge known as ‘mulgi puder’ have become its long-loved specialties. 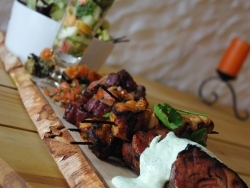 The food is made from local ingredients and cooked in a wood fired oven that gives the food its’ special olden times’ flavour. You can’t get fast food from Kihnu Küek’s kitchen, instead food is meant to be enjoyed here to soak in the life and culture of Kihnu island. 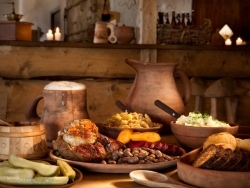 This is a tavern that always offers particularly delicious ancestral dishes – real farm labourer’s gruel, homemade bread, and butter are always on the table. 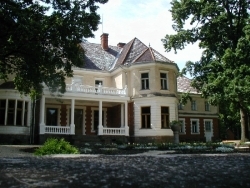 In Sagadi Manor, special attention is given to the forests and everything you can pick, gather or hunt in there. Everything is made from scratch in the kitchen. 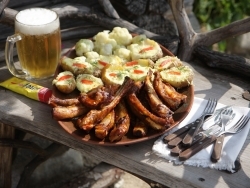 The food is simple and seasonal and offers a pleasant experience for anyone looking for something characteristic for this region. 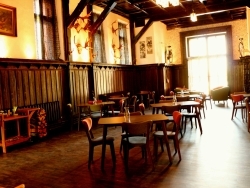 Hämsa Tavern offers homely food such as pan-fried groats with mushrooms, smoked Hämsa ribs with potatoes, sweet and savoury barley bread and many other very interesting and delicious items. 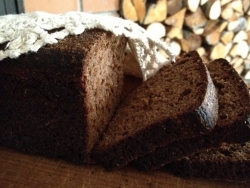 We bake rustic sour dough rye and wheat bread as well as serve meals in a small café. 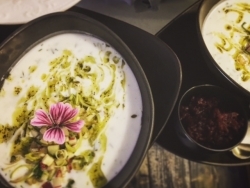 The Sorcerer’s kitchen surprises you with unconventional but tasty food. 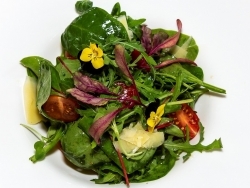 The restaurant menu is based on fresh and local produce and is changed according to the seasons twice a year. 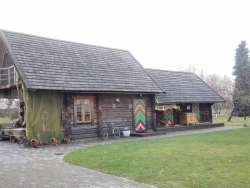 Kopli farm kitchen at the historical Postal Road in Põlva County is a place to enjoy cooking by yourself and good flavors. In the middle of Viitna forests, right next to the Lahemaa Nature Park, the farm offers local and organic food. Their flexibility feeds everybody from a small group up to a thousand people. 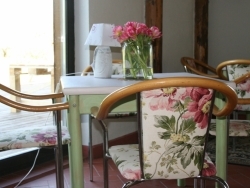 Guests can enjoy cold and hot drinks, light meals and have a relaxing moment sitting outside on the sun filled terrace. 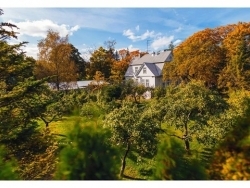 An organic farm located in the midst of pure Saaremaa nature, where you can sample traditional foods, buy local products or take part in baking workshops, and have a nice meal. 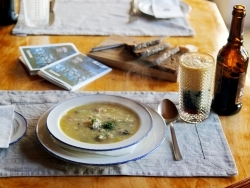 The menu of Loona Manor relies on local ingredients and cooperating with local gardeners, farmers, fishermen and hunters. 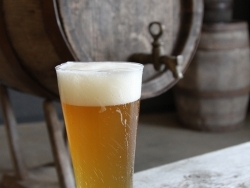 Saksa Farm Shop-Café offers products made in local farms and enterprises, that includes traditional Saaremaa farm beer and a vide variety of handicrafts. 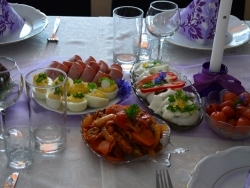 "Jaama Trahter" serves delicious home-made food. Kirsipesa café feels like home; it is so small and cosy as if you have just come in your grandmother’s living-room. The family that is our staff is friendly, helpful and flexible. 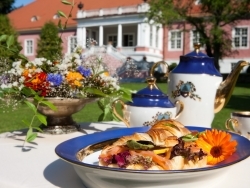 In accordance with the history of Alatskivi Castle, three different styles of cooking is served: Manor cuisine, Estonian cuisine and Scottish cuisine. The food served is simple, filling and very tasty. Just how it is supposed to be in a proper seaside tavern. 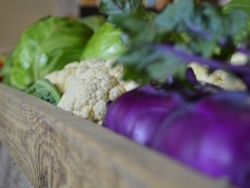 We value the ingredients that we grow ourselves or purchase nearby! 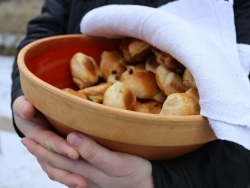 Angla Heritage Culture Centre celebrates bread and anything you can eat with bread – that is local high-quality food. Mamma Tiiu’s expertise in coastal cuisine and matron Mare’s contemporary and innovative take on cooking results in pleasurable food. All wayfarers are welcome here to eat to their hearts’ pleasure, but bigger groups should make a booking in advance. 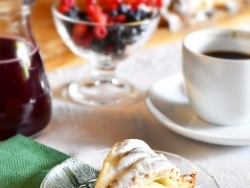 The café named after the owner’s great-grandmother boasts Tartu’s largest selection of cakes and pastries and over ten varieties of herbal teas made in Estonia. 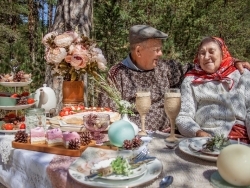 Anyone can go back in time to 1930s accompanied by the music of the period as well as the scent of freshly ground coffee and pastries piping hot out of the oven in one of the oldest buildings in Otepää. 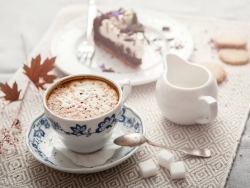 Café Grand is the oldest continuously operating café in Pärnu: from 1934 to this day. 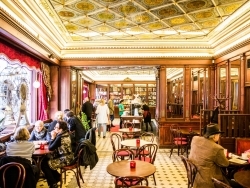 This old-fashioned café lets you reminiscence about the good old days of the kolkhoz – the building, interior and details from the soviet times will bring back memories. 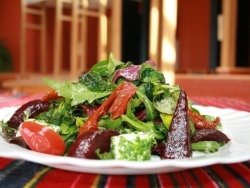 The menu of Café Noot contains dishes made with local ingredients by traditional recipes bursting with the flavours of home-made food. This is the place to enjoy excellent food at the top end of the historical Pakri peninsula and to admire a splendid view of the sea opening from the 25 m high cliff. The air here is warm with the hum of voices, the food is genuinely local and home-made, and the place is a sweet feast for the senses. 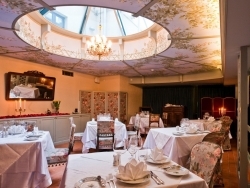 You can feel right in the middle of history when dining in the Canterwilla Castle Restaurant. 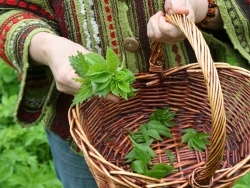 In our menu, we use seasonal gardening products and forest fauna of Läänemaa in cooperation with local farmers. If you wish, you can listen to Gothamites’ jokes about certain foods between the courses while taking tame to enjoy your meal. 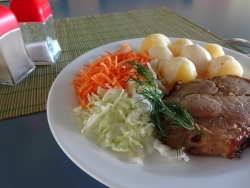 The health café in eco-friendly Spa Harmoonikum called “Mõisaproua Söögituba” serves healthy and nutritious meals made from fresh produce from Estonian farms. 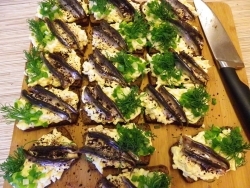 In addition to trout here you can taste other locally made Estonian food. You can buy local products from local producers and incredible cakes and pastries baked on the spot from the Farm Shop. Simple food with pure flavours that our grandparents used to see on their table daily is now considered gourmet. We want to provide meals that are common for this area and were a part of our childhood. Naturally, our ingredients are local and organic. Amazing view over the sea, beautiful sunsets and moments of joy are just a small part of this summery experience. 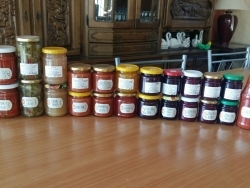 Visitors can buy sweet and savory preserves and enjoy the delicious meals cooked on the farm. 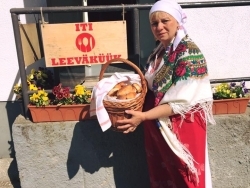 Janely Koduköök has undertaken a mission: passing on the foods and flavors favored by our grandparents to the next generation. 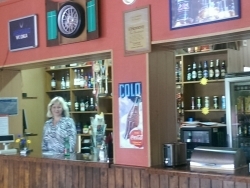 This simple country pub serves warm food and cold drinks from lunch til evening. 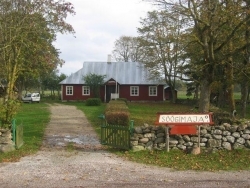 Local Saaremaa food and drinks are served here. 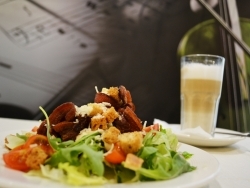 Local clean and great ingredients are the reason for the great taste of the food. 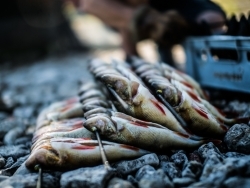 The café and fish shop on the road into Kärdla sells fresh and locally smoked fish caught by local fishermen, which you can take home or enjoy right on the spot. The tagline of our menu is “like at Grandma’s place in the country”, so what we offer here is pure meat and fish, eggs, potatoes and vegetables, fruit and berries; herbs also come from our organic farm, and milk is supplied by the organic dairy farm in the village. 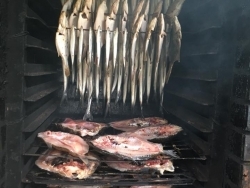 This is where a huge variety of fish foods is made: fresh fillets, ready-to-cook fish products, smoked fish, dried fish, fish in marinade and fish for grilling. 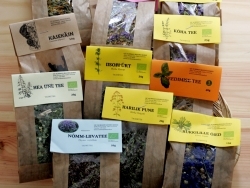 A certified organic produce, Karepa medicinal plant gardens is where you will find a variety of organic herb salts, herbal teas and meals packed with herbs. 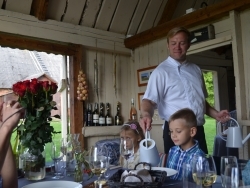 In Kauksi Holiday house, you can find a table laid for a traditional Estonian festive occasion as well as local and seasonal food. 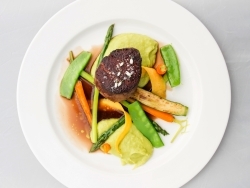 We offer a five-course island gourmet meal made with high-quality fresh ingredients, in accordance with your preferences and with care for the sustainability of our environment. 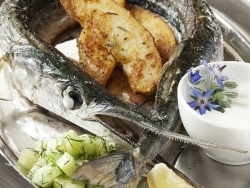 A true fishermen family that we are, we mainly treat our guests to simple fish dishes made with the catch of the day. 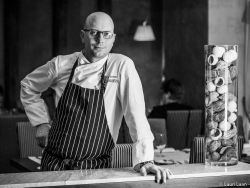 When creating the menu for Kiudoski Restaurant, inspiration was drawn from the rich history of the Räpina region. 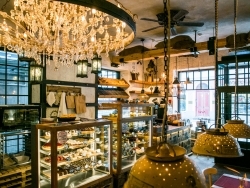 This resulted in a classical European kitchen combined with local specialities. 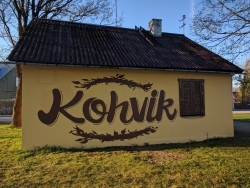 Kivi Tavern offers food that is mainly made from local ingredients and cooked by skilful chefs. 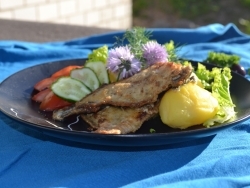 Kiviranna Holiday House serves different fish dishes from fresh fish caught from Lake Võrtsjärv or Lake Peipus. The centre is registered as an organic producer so most of the vegetables and other produce is grown right here. 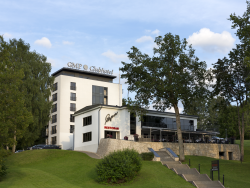 The inn is prefect for having a break and enjoying Estonia’s national dishes, pleasing the palates of both ordinary museum visitors and Estonian food enthusiasts alike. 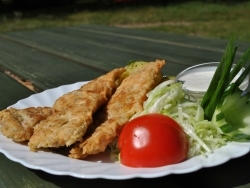 In Kõpu, at the gates of Soomaa National Park, Kõpu Tavern Farm offers homely food. 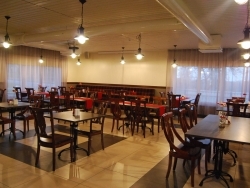 Store and café, where you can have a meal and also buy the products made by our company from the fish caught in Lake Peipus. Laglepesa is a homely eatery, where the matron of the house with her simple homelike cooking has found its way to the hearts of locals. 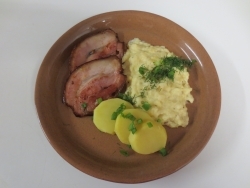 Tasty, simple and homely Estonian foods. 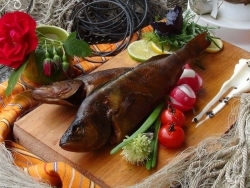 Dishes of the Baltic Sea diet offered by Loodus BioSpa use only local and Baltic products. It’s all so simple. The secret word is love. 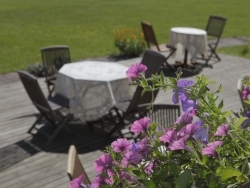 This is the truly national place to try genuine food of Saaremaa. 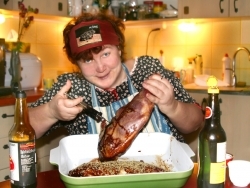 The matron of the house will serve you good old homely Estonian farm food. The food of the restaurant offers you local tastes of this region and tell the old tales of this manor and of the wide world. 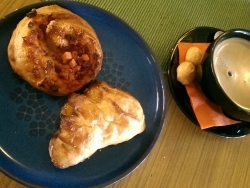 Maheleib provides home-made meals and baked goods. 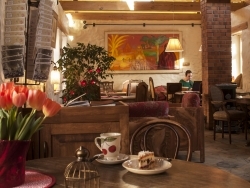 Maiasmokk is the oldest café in Estonia: it has been operating without a break since its first opened its doors in 1864. 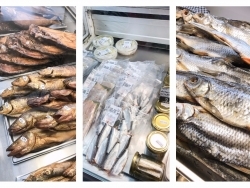 Maitsete Koda offers local products made of local ingredients grown in fields, foraged in forests and caught in the sea as well as handicraft activities in Lindi handicraft workshop. 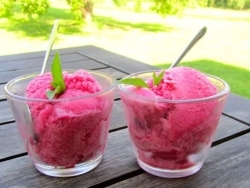 New flavors and sensations, new colors and forms – the food served at the farm makes you happy and strengthens your body. 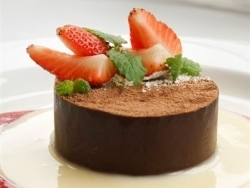 The old saying “There is beauty in simplicity” is reworded as “There is plenty to taste in simple dishes”. 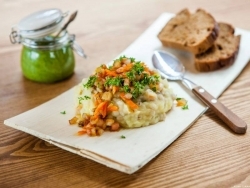 Exciting dishes typical for Southern Estonia are served in cozy Mooste Distillery. The Mulgi tavern is in the heart of Abja-Paluoja, the capital of Mulgimaa. 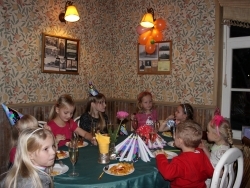 It offers comfortable surroundings and delicious, traditional Mulgi food.The tavern seats 60. 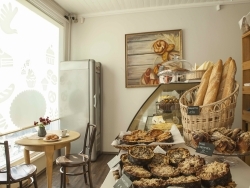 A quaint small bakery where you can enjoy locally baked pastries with a cup of coffee or buy some to go. 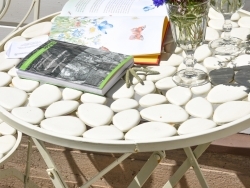 This is a symbiosis of good food, distinctive interior, good aura and the flowery back yard. 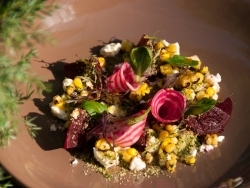 The farm’s menu represents seasonal vegetables, berries and game depending on the hunting season. 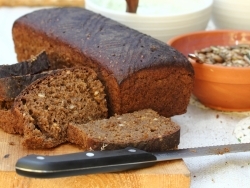 Taste and buy fresh barley bread and rye bread at the Olustvere Bread Studio café. 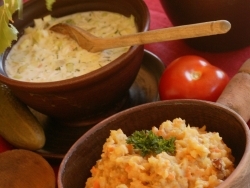 You should ask in Õnnela Guesthouse for the legendarily delicious Õnnela sauerkraut. 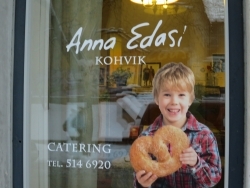 The café-restaurant Andreas offers a menu inspired by local Võrumaa food traditions, modern trends and changing of the seasons. 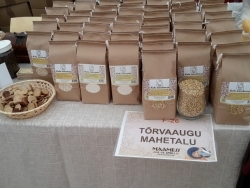 Everything the Farm Market sells is grown or produced in Estonia. 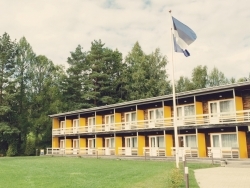 Paunküla Wellness Centre serves tasty homemade food. 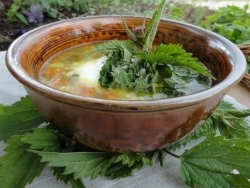 There is beauty in simplicity and that beauty is in the food made in Pihla Farm as well. 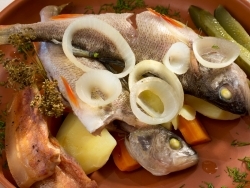 Pihlaka menu revolves around fish. 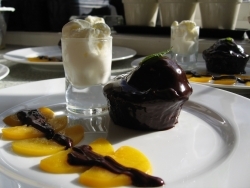 Here you will find genuine flavours and food cooked with love! 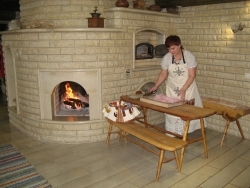 The manor’s matron’s recipes are behind the traditional cuisine combined with modernised local traditions in Pilguse Manor. 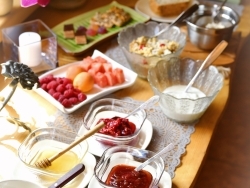 Celebration catering and hearty home-style breakfast. 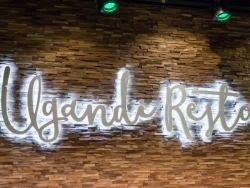 All food in the first restaurant which opened in Otepää is hand-made from local ingredients, with love and care. 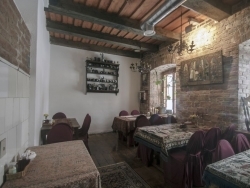 The cosy historical interior of restaurant MonAmi is the place to enjoy simple but exquisite dishes made with seasonal local ingredients. 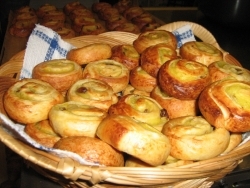 The restaurant’s own small bakery makes cakes and pastries that you can order on site or buy as takeaway. 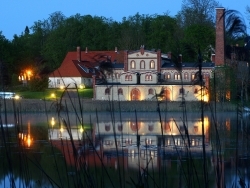 The easternmost restaurant in the European Union is where you can find delicious gifts of Narva River as well as local fields and forests. A hungry wayfarer knocks on the door of Riida Farm without fear. 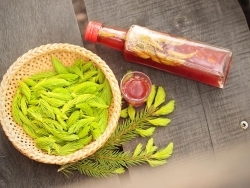 Local Estonian ingredients are always preferred. The food is prepared the traditional way, passed on from generation to generation along with quite a few funny tales. 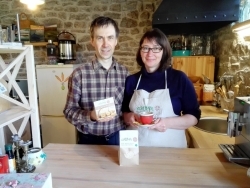 Café, bakery and organic shop. 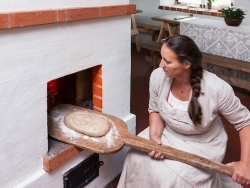 Rooslaiu Farm treats its visitors to traditional Kihnu rye bread, wheat bread and smoked fish made on site. 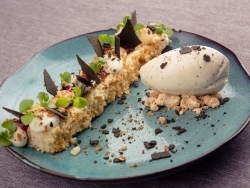 The Rye Restaurant offers a wide dishes ranging from appetizers to desserts made of local and South Estonian ingredients and Sangaste rye. 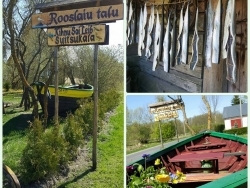 Located just next to the Seto Farm Museum, the Tsäimaja is one of the best known Seto traditional food servers in Southern Estonia. 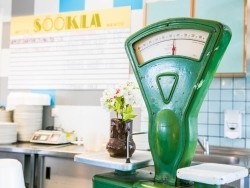 The main feature of Söökla’s menu is delicious home food, including almost daily retro dishes. Delicious home-cooked meals are born in our kitchen. 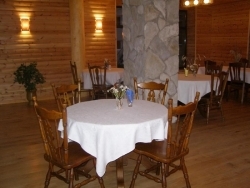 From the farm to your table: we serve food primarily cooked from organic ingredients grown on farms of Võru County. 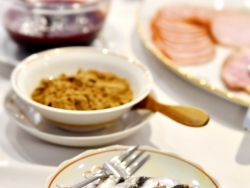 In the heart of Obinitsa delicious and genuine Seto cuisine is served. 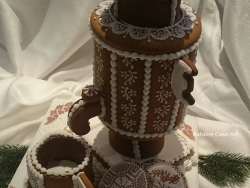 Gorgeous party cakes, delicious pastries and the best ever cinnamon and coriander ‘pryanik’ honey cakes to take home a souvenir from the Peipus region… eat and enjoy! 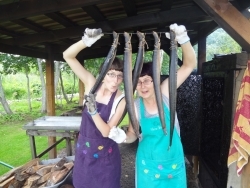 Tiina from Tihemetsa offers freshly smoked fish in the Tihemetsa Farm located in the historic fishing village. 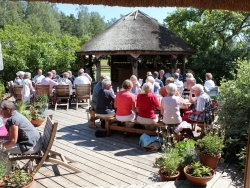 Food is served according to the wayfarer’s wishes in the café of Tihuse Equestrian Farm on the Muhu Island. You can have meat or fish, lactose or gluten free. 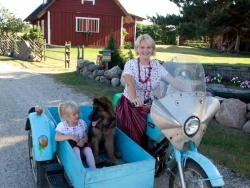 The matron of the house welcomes everybody who enjoys the country environment, the privacy and simple but delicious Estonian food made from local fresh produce. 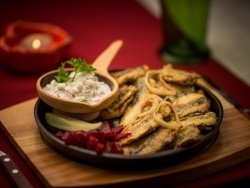 Toosikannu’s menu presents an diverse choice between game dishes. 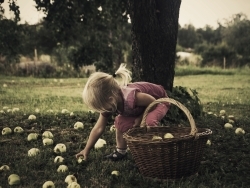 Learn more about growing apples and grapes in the Nordic climate and get to know the secrets behind making good ciders and wines at the Cider and Wine Farm. 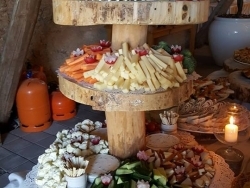 The tastings are accompanied by snacks from the Farm. 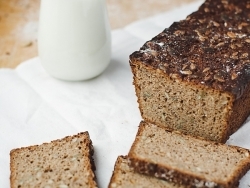 Do you like buckwheat? 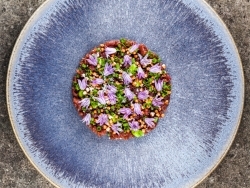 Amazing buckwheat dishes can be found here on the farm! 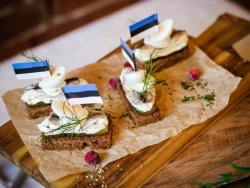 Estonian ingredients supplied by local producers are of key importance in our menu. 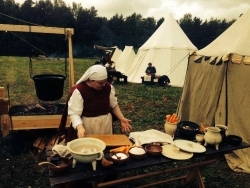 We appreciate fresh pork and fish and use them for delicious meals cooked on site. 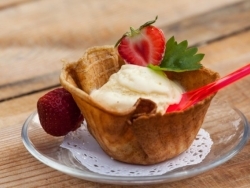 This family-friendly café is the only place in town where you will find sugar waffles with a variety of delicious toppings. 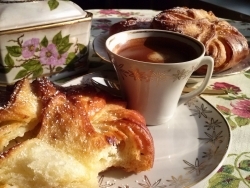 As soon as you come in, the smell of high-quality coffee and freshly baked pastries is the first thing you notice. 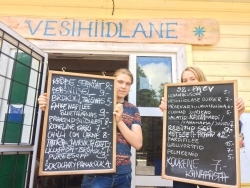 Another special feature of Ugandi Café is its drinks menu, which is quite unique for Otepää region. The ingredients we use in cooking are always fresh, of consistently high quality and, preferably, supplied by domestic producers. 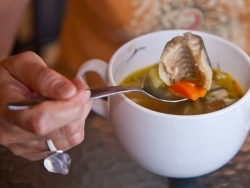 Guests are welcomed with a menu filled with fish delicacies, prepared with local ingredients and inspired by Estonian cooking traditions. 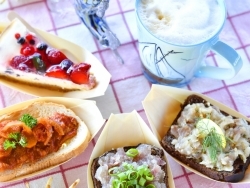 The daily menu is relatively novel, at the same time resembling homemade food. 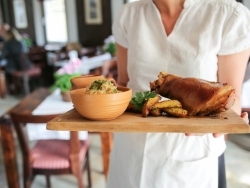 Vaksali Tavern is a cosy a la carte eatery with a historic atmosphere located in Tapa. 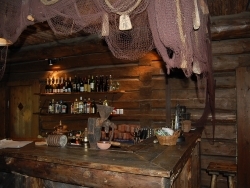 Vanatoa Tourism Farm’s is a pleasant and safe place to rest in the heart of an ancient fishing village called Koguva. 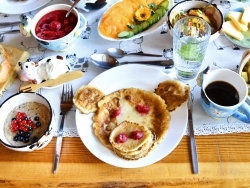 Great home-cooked meals with a restaurant flair: large portions, genuine Estonian tastes and Hiiumaa soul. 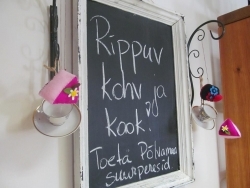 This cosy cafe with its lovely interior can be found on the Jõgeva-Mustvee road. 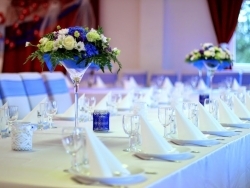 It offers a tasty buffet lunch every day between 12:00 and 15:00, and thereafter a full a la carte menu. 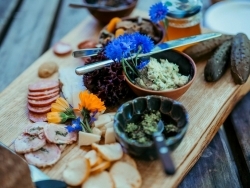 You can find real Estonian farm food mixed with interesting bits and pieces from the Eastern and Western food culture in the menu. 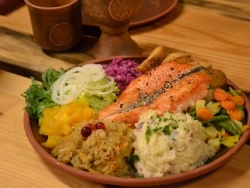 The Viking Village Tavern offers national dishes in a national environment. 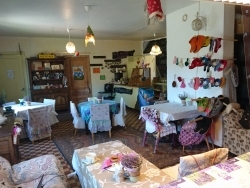 The café with its cosy terrace will offer comfort to an empty stomach, and handicraft will help you escape from troubles. 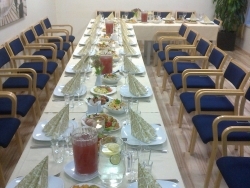 Holiday Centre is ready to assemble a personalised menu according to the guest’s wishes. Words of praise from customers: delicious breakfast, delicious lunch and dinner, friendly service! 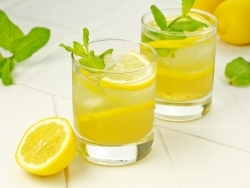 Foods and drinks from various periods of Estonian history! 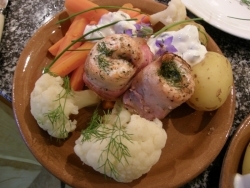 The pub keeper, who is a coastal fisherman, and his missis cook a variety of fish dishes.